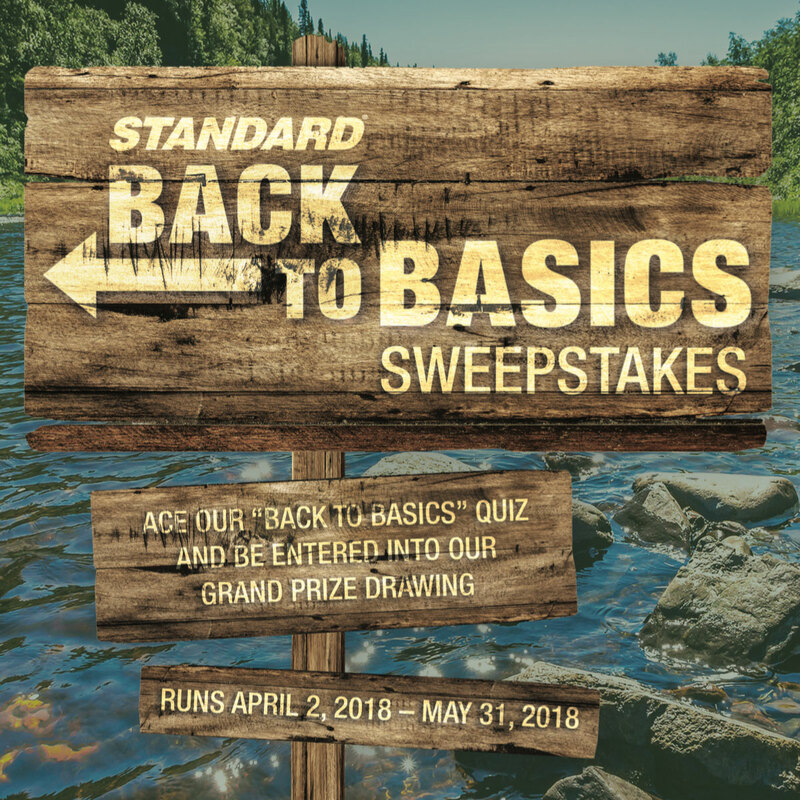 Our 'Back to Basics' Sweepstakes ended on May 31. For information about future promotions, subscribe to our mailing list. For all 'Back to Basics' participants, we'll be conducting a random drawing for our Grand Prize on or about June 30. We’ll also be awarding a participation prize to the first 100 people who entered the promotion. All participants will be notified via email. This promotion is managed by Standard. Participation in this promotion is subject to the official rules.